We train people to work – because jobs change lives. 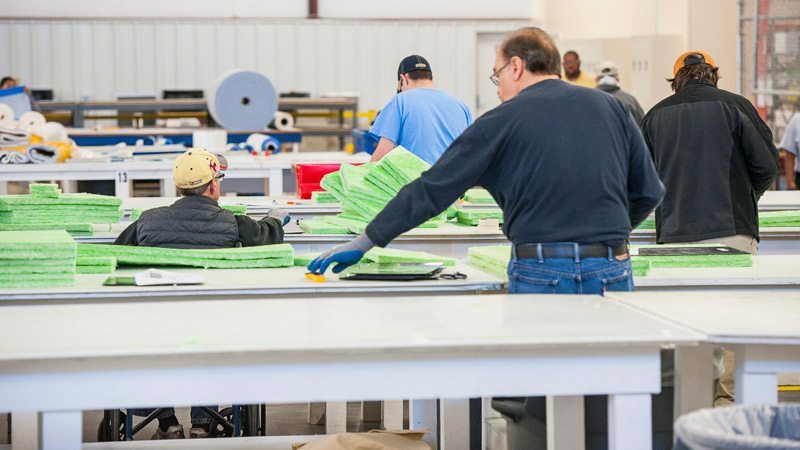 As a business unit of Goodwill Southeast Georgia, G-Force Manufacturing is committed to Goodwill’s mission to assist individuals overcome disabilities and barriers to employment. We commit to the success of others, share expertise, work together in order to build productive relationships and celebrate success with recognition and sincere appreciation. Who should come to work at G-Force? People with barriers/disabilities to employment who may need a second chance. At G-Force, we believe in the power of work. Entry-Level or someone wanting to start a career in the aerospace and/or light manufacturing industries. Your success is our success. Let us help you launch your career in aerospace/manufacturing while working in an AS9100D Quality environment. Someone who loves working with, coaching, teaching, and leading small teams to accomplish production goals. If you are a former military member or are retired from another business segment and are looking for a way to give back some of your time to benefit others in need. We would like with speak to you. Clean and Climate controlled work environment; it’s “cool” working at G-Force, literally! We keep the plant’s average temperature at 70 degrees in order to preserve the shelf life of the products we work with. The G-Force Team takes great pride in helping to build the “Best” aircraft in the small business jet industry.